On the 20th of December, Ministry of Environment held their annual meeting, in which it reviewed the activities throughout the year, addressed all the problems faced and successes achieved in 2016. His Excellency Say Sam Al, who chaired the meeting, elaborated about the reform that he has been spearheading. His efforts to create better organisational structures where NGOs and other invested parties have the ability to take initiative and drive change is truly ground-breaking. In the meeting, H.E. Say Sam Al, said “Our collective success in 2016 is only due to the active participation and cooperation from our NGO partners who have stood by us. Every stakeholder and development partner is essential and contributes immensely. 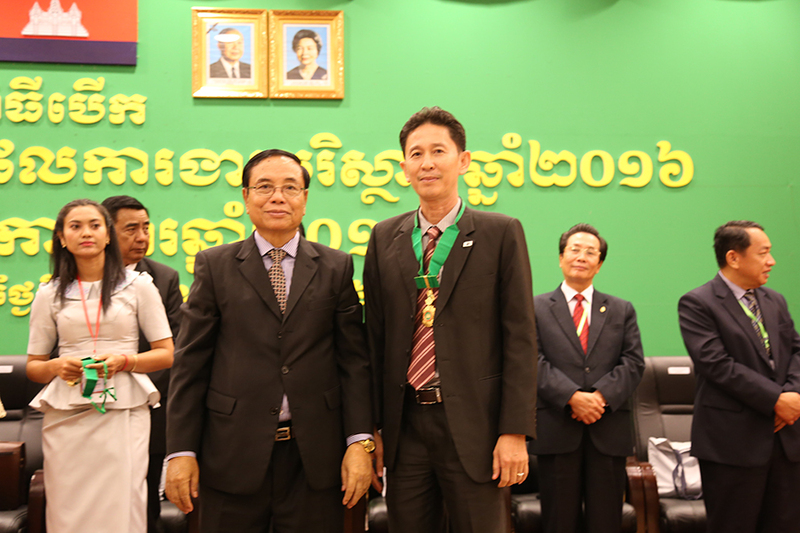 This is an occasion to acknowledge and honour that.” WWF-Cambodia was greatly appreciated by his Excellency for its hard work and dedication in supporting the Royal Cambodian Government to conserve the country’s precious national resources. 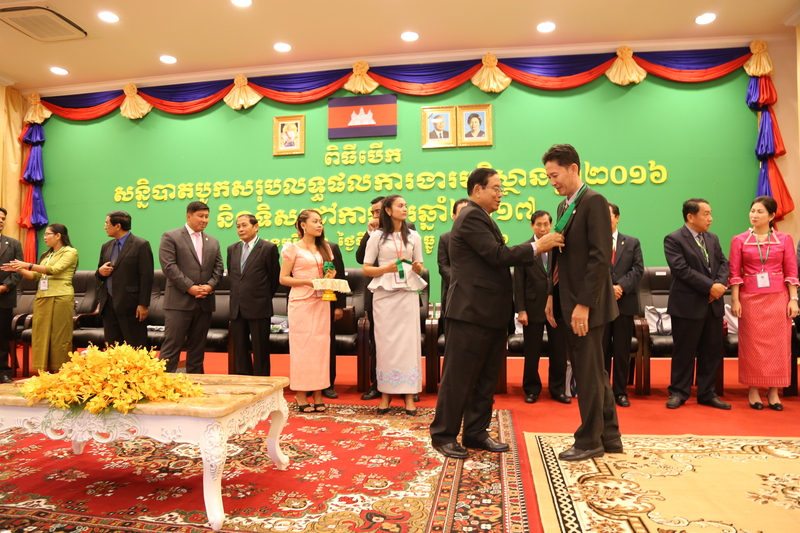 An award with the Prime Minister Hun Sen’s signature was given to WWF as a token of appreciation. WWF-Cambodia has been working closely with the MoE in its project in the Eastern Plains Landscape. The Eastern Plains Landscape (EPL) covers an area over 30,000 square kilometres and forms the largest intact block of forest in Southeast Asia. WWF- Cambodia works tirelessly to conserve biodiversity in Mondulkiri province focusing on the two protected areas - the Phnom Prich and Srepok Wildlife Sanctuaries. 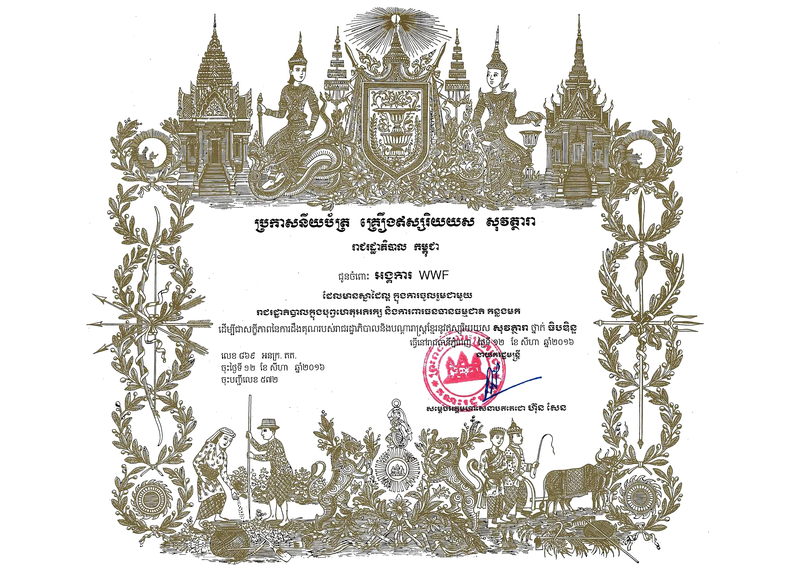 WWF-Cambodia is also active through the entire province in promoting sustainable resource use, land use planning and reducing wildlife crimes.